I have pulled out a few of the ideas from previous sketchnotes I created from William Zinsser’s On Writing Well and sketched those ideas onto 3×5 note cards as part of my One Card One Concept project. 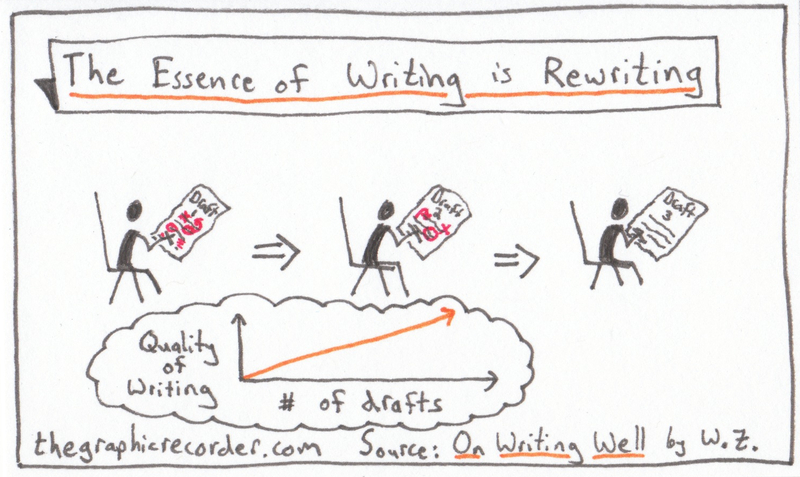 First, we have the crux of the book – the essence of writing is rewriting. If you want to see the quality of your writing improve, then you have got to go through multiple drafts. 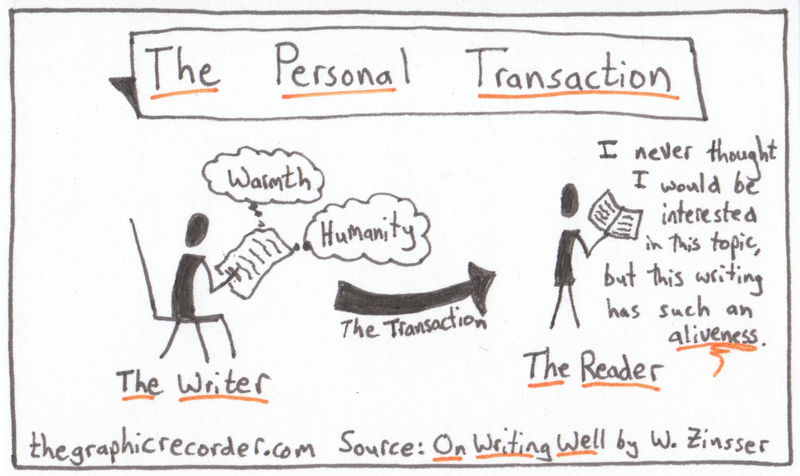 Next, the importance of the personal transaction: how writing with warmth and humanity can engage readers (even those who think they have no interest in the subject of your writing).